With a history dating back to 1831, Assicurazioni Generali S.p.A. is the largest insurance company in Italy and the seventh largest insurance company in the world by revenue (behind Berkshire Hathaway, AXA, and Allianz). However, their travel insurance arm was founded in the United States and did not join the financial giant until recently. Generali Global Assistance was formerly known as CSA Travel Protection. CSA was founded in 1991 and was based in San Diego, California. The company provided travel insurance plans for many common travel situations, including trip cancellation, trip delay, and baggage loss. In 2008, CSA Travel Protection was purchased by Europ Assistance, a wholly-owned subsidiary of Generali. The company would ultimately change their name to reflect their parent company in 2017, operating as a part of Generali U.S. Branch. Today, the company is licensed in all states and offers insurance for many different situations. As a global company, Generali operates a presence in over 60 nations across five continents, with 70,000 employees. The company is licensed to operate in all 50 states and the District of Columbia. Generali Global Assistance underwrites all of their travel insurance products through their American arm, Generali (United States Branch). A.M. Best Rating Services, a company specializing in assessing insurance companies, gives the underwriter an A rating (Excellent) in the financial size category XV ($2 billion or greater). The company outlook is stable. More importantly, the company has held an A rating since at least 2013. In regards to customer service and payouts, Generali is ranked well by two major travel insurance sales agents. Travel insurance buyers through Squaremouth.com give Generali a 4.45 overall customer rating (out of five stars), based on over 3,000 reviews since 2004. Customers give the company five stars for customer service before a trip, with only four stars for service during and after a trip. Additionally, of all the 3,000 reviews, less than one percent were negative. At InsureMyTrip.com, Generali customers give the company an overall rating of 4.58 stars (out of five), based on over 10,000 reviews. The Standard plan received the most ratings, with an overall rating of just under 4.5 stars. But the premium plan, with over 1,800 customer reviews, received an average rating of approximately 4.5 stars. Non-profit consumer watchdog group Consumer Affairs also gives Generali Global Assistance a positive review. The company is a Consumer Affairs Accredited Brand with an A+ rating from the Better Business Bureau. Unlike other travel insurance products, Generali Global Assistance offers three travel insurance plans, focused on balancing property coverage with medical concerns. Travelers can choose from a base-level standard plan, all the way up to their top-of-the-line premium travel plan. All travel insurance plans include services through Generali’s designated provider, including a 24-hour emergency assistance service line, concierge services, and identity theft resolution services. What makes Generali unique from other providers are their Teladoc telephone medicine services and no out-of-pocket medical coverage. Through Teladoc, travelers can consult a doctor over the phone or via live video. Teladoc services may be limited based on local, state, federal, and international laws. Generali may pay up to $1,000 up front for acute treatment due to an illness or injury. Please note: all schedules of benefits are subject to change. For the most up-to-date coverage information, contact Generali Global Assistance. Standard: As with most standard travel insurance plans, the Generali Global Assistance Standard plan comes with a basic level of coverage aimed at healthy travelers traveling light. This plan offers trip cancellation coverage up to 100 percent of the insured trip cost and up to 125 percent of the insured trip cost for a trip interruption. If your trip is delayed for a covered reason by 10 hours or more, incidental costs can cover up to $150 per person per day up to a $1,000 maximum per person. If an incident results in your missed connection by over three hours (like a tour or cruise departure), you may be covered for up to $500 in reimbursement for reasonable incidentals. If personal effects in baggage are lost, damaged, or stolen during a trip, each traveler on the policy may could be covered for up to $1,000. A $200 maximum baggage delay benefit also applies if luggage is lost for more than 24 hours. If you experience a medical or dental emergency during your trip, you could qualify for up to $50,000 in medical coverage per person. This medical coverage only applies to accidental injury or illness, not routine healthcare. In addition, this is a secondary insurance product—the coverage only kicks in as excess coverage for standard health insurance (unless where prohibited). In the event your injury is excessive to the point of requiring emergency transportation home, this plan offers an emergency assistance and transportation benefit of up to $250,000. But if you are traveling alone and will be hospitalized for more than seven days, this travel insurance plan also provides a $10,000 benefit for companion hospitality, where a companion can visit you where you are hospitalized. This plan does not provide coverage for pre-existing medical conditions or travel provider financial insolvency. In addition, this plan does not offer a Cancel for Any Reason add-on. If you are concerned about any of these situations, you may want to purchase a higher travel insurance plan. When we ran a travel insurance quote for a 34-year-old traveling to Germany from North Carolina in September with a $2,500 total trip cost, the Standard plan quote was $102.06, or approximately $20.41 per day. Your price will vary from this quote based on age, destination, and total insured trip cost. Preferred: The Generali Global Assistance Preferred travel insurance plan is the company’s mid-tier offering for travelers who want a little extra travel insurance protection. The biggest bonus between the Standard and Preferred plans is increased trip interruption protection, along with coverage for sporting equipment. Like the Standard plan, the Preferred plan offers up to 100 percent trip cancellation insurance, up to the total trip cost insured. The plan also comes with up to $1,000 of travel delay coverage (up to $200 per day) for trips delayed by eight hours or more. But this plan also features a higher coverage level for trip interruption: up to 150 percent of the trip cost insured if a qualified situation forces you to end your trip early. In addition to more baggage delay coverage (up to $300 per person for luggage lost 18 hours or more) and baggage loss coverage (up to $1,500 per person for lost, damaged or stolen luggage), this plan also comes with coverage for sports equipment. 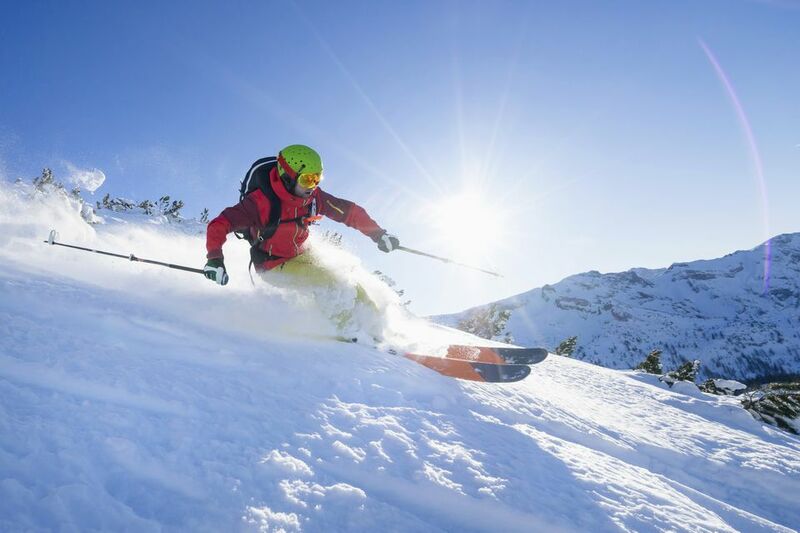 Standard sporting equipment, like golf clubs and skis, are covered up to $1,500 per person in the event they are lost, damaged or stolen, or up to $300 per person if they are delayed. If an overall trip delay forces a missed connection, the missed connection benefit will provide up to $750 of coverage per person. The Preferred plan also offers more medical and dental insurance in case of an illness or accidental injury. The plan will cover up to $150,000 per person, and up to $500,000 per person if the injury or illness requires emergency assistance and transportation. And unlike the Standard plan, the Preferred plan also offers coverage for carrier financial insolvency. Using the same quote parameters as the standard plan, the Preferred plan cost nearly 10 percent more than the Standard plan. For the additional cost, the Preferred travel insurance plan offers significantly more coverage than the lowest option available, along with coverage for sporting equipment and sporting equipment delay. Premium: At the top tier, the Generali Global Assistance Premium plan covers virtually anything that could go wrong with a trip. This travel insurance plan has the highest coverage levels and options among all of the available plans. To start, in addition to trip cancellation benefits of up to 100 percent, the plan offers trip interruption benefits up to 175 percent of the insured trip cost. Travel delays are covered up to $300 per person per day, up to $1,000 total if a trip is delayed by six or more hours. If your baggage is delayed by at least 12 hours, covered travelers could receive up to $500 per day the luggage is lost. And if that luggage is destroyed, stolen or permanently lost, the plan covers up to $2,000 per person. Sporting equipment delay and sporting equipment damage, theft and loss are covered for up to the same amount as baggage delay or baggage loss. If a delay forces covered travelers to miss a connection, the plan could cover up to $1,000 in costs related to the situation. The plan also offers the highest amount of medical coverage for every affected traveler. The medical and dental benefit covers up to $250,000 of qualifying costs due to illness or accidental injury. If the situation forces the traveler to return on emergency transportation, the traveler is covered up to $1 million. This is also the only Generali Global Assistance plan that offers coverage for pre-existing medical conditions if all the requirements are met. An exclusive add-on benefit of the Premium plan is the Trip Cancellation for Any Reason benefit. If you decide to add this to your travel insurance plan, you would be able to cancel your trip for any reason and recover up to 75 percent of your insured trip cost. Adding this benefit will add up to 50 percent of the base quote to your price, so consider carefully before you add this to your travel insurance plan. Note this add-on is not available to residents of New York State. Based on the same quote figures for the Standard and Preferred plan, the Premium quote cost 46 percent more than the Standard plan and 34 percent more than the Preferred plan. This is because of the additional coverage offered in this plan, including accidental death and dismemberment and the pre-existing medical condition coverage. Unless you are concerned about the resurgence of a pre-existing medical condition or need the flexibility of Cancel for Any Reason, this plan may not be the best use of your resources. As with any travel insurance plan, not every situation is covered. These are some of the most important exclusions to consider before you purchase a Generali Global Assistance travel insurance plan. Self-Harm: Generali Global Assistance will not pay for any loss associated with a suicide, attempted suicide or self-inflicted injury. Intoxication: Any illness or injury caused either directly or indirectly from intoxication of drugs and alcohol is not covered. The exception to this rule is intoxication from drugs prescribed by a doctor. Extreme or Organized Sports: Although the Preferred and Premium plans offer coverage for sporting equipment, injuries from organized or extreme sports are not covered. This may include organized amateur competitions, interscholastic sporting events, full-contact martial arts, and parasailing. Additionally, there is no hazardous activity add-on coverage. Customs Confiscation: Any items that are either broken or confiscated by customs officers are not covered under this travel insurance plan. Before bringing anything home, make sure it’s legal to import. One of the advantages of Generali Global Assistance is that claims are handled online. To begin a claim, travelers can visit the Generali Global Assistance website to start a claim. During the process, covered travelers will be prompted to upload their supporting documents at the same time. Scanned documents or legible pictures of the supporting documents will be accepted. Although travelers can submit forms by the mail, claims submitted online are processed faster. Travelers who have questions about filing a claim or what to expect during the process can call Generali Global Assistance at 1-800-541-3522, or e-mail claims@generalitravelinsurance.com. With three levels of travel insurance options, Generali offers plans that balance trip cancellation and delay options with a high level of medical coverage. However, these plans aren’t for everyone. Travelers who are not staying abroad for long or are planning a trip to well developed nations could benefit more from a cheaper travel insurance plan. For travelers who are planning a sports trip or need a high level of travel insurance, Generali Global Insurance plans offer a complete package. For those travelers who want to make sure their medical conditions are covered, or want to ensure that skis, hiking gear, and golf clubs arrive in one piece, Generali should be your first stop when shopping for the right travel insurance policy.